Janet Browne’s magnificent two-volume biography of Charles Darwin is the one against which all others must now be judged. Volume 1, Voyaging, takes us from Darwin’s birth in 1809 to his decision in 1856 finally to start work on the ‘species sketch’ that would become On the Origin of Species. In between, we learn about his school days; his abortive studies in medicine at Edinburgh; his university days at Cambridge; his five-year voyage around the world aboard HMS Beagle; his rise to prominence as a man of science; his early publications; his devising of, and early research into, his theory of evolution by means of natural selection; and his marriage to his cousin Emma Wedgwood, and their settlement in their perma-home at Down House in Kent. Volume 2, The Power of Place, resumes the story, taking us from the 1858 bombshell letter from Alfred Russel Wallace, indicating Darwin was in danger of being scooped, to Darwin’s death and Westminster Abbey funeral in 1882. 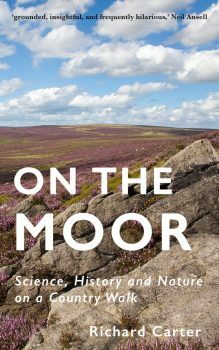 In between, we have On the Origin of Species and all Darwin’s subsequent books, from orchids to The Ascent of Man to earthworms. I’ve often said, and continue to maintain, that the best way to get to know Darwin is to read his copious correspondence. Janet Browne worked for a number of years on the Darwin Correspondence Project, and her work there very much informs this wonderful biography. Browne is particularly good on Darwin the strategist and tactician, showing how, through the medium of the letter, he developed and made highly effective use of a widespread social network. Browne is also excellent on how Darwin’s more obscure works (on such apparently diverse subjects as coral reefs, orchids, insectivorous plants, sexual selection, movement in plants, variation, expressions of emotions, and earthworms) fitted into a bigger picture. I was particularly interested in her take on Darwin’s barnacle work. Darwin’s eight-year study into barnacles is usually presented (correctly) as a somewhat excessive precautionary attempt to establish his credentials as an acknowledged expert on a particular group of species. He felt he need such credentials before having the temerity to announce a theory claiming to explain the evolution of all species. But Browne shows how Darwin’s barnacle work also helped influence his theory, making him fully appreciate the amount of variation to be found in nature. It is not possible to do justice to over 1,000 pages of magnificent biography in such a brief review, but, if you want to get to know Charles Darwin (and you’re not prepared to read the 25 volumes and counting of his published Correspondence), you would be well advised to start here.